Harriett Sanger Pullman is born in Chicago, IL. 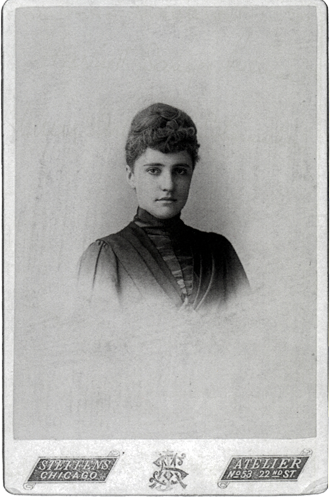 Harriett Pullman, daughter of George and Harriet (Hattie) Pullman, was born in Chicago in 1869. Educated both at home and in Europe, she became fluent in French and German. She graduated in 1889 from Miss Brown’s Fifth Avenue School in New York City. In 1892, she married San Franciscan Francis Carolan, and they established their home in Burlingame, CA. Harriett’s father died in 1897, making her an heiress to his railway car fortune. Harriett established a second home in Paris around 1900, having long been fascinated with France’s artistic heritage. During World War I, she became active in the American Friends of France, an organization advocating U.S. involvement in the war. She served as Director of the Fine Arts Department of the 1915 Panama Pacific International Exposition in San Francisco. 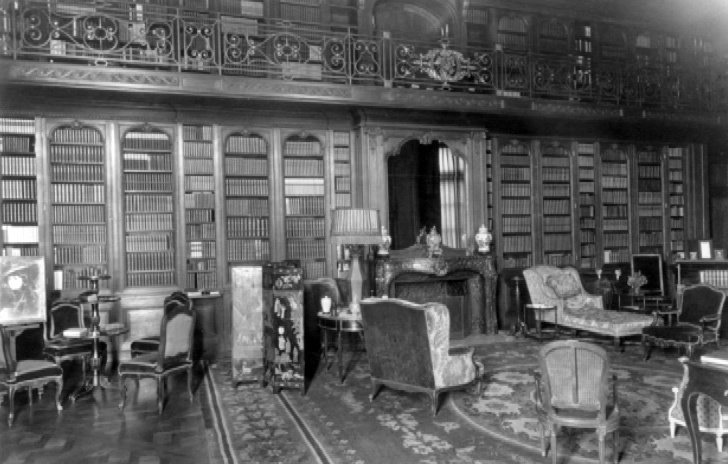 Harriett, a bibliophile, was the only American member of “Les Amis du Livre Moderne” in Paris. She planned her splendid Carolands Library to share her passion for books and learning. Music and drama were Harriett’s other passions. In her early years she studied singing, and in California she hosted a French opera singer as a long-term houseguest. In the 1930s she helped found the Berkshire Music Festival. Harriett enjoyed portraying “The Tragic Muse” at the Tableaux Vivants, and she read poetry aloud to enthusiastic audiences. Her closest friend of almost 40 years was one of the most famous stage actresses of the day, Mrs. Patrick Campbell. Harriett was admired for her distinctive and beautiful clothing. She collected and preserved many examples made by the finest Parisian couturiers of her day. In 1923, Francis Carolan died in San Francisco. Harriett married Colonel Arthur Schermerhorn in New York in 1925. The couple occupied Carolands for brief periods over the following two years. In 1929, the Schermerhorn’s purchased Spring Lawn, a large estate in Lenox, MA and offered Carolands for sale. Arthur died in 1933, leaving Harriett a widow for the second time. When she sold Carolands in 1945, she was 76 years old. Harriett died in October 1956 having spent the last years of her life in the quiet luxury of her duplex apartment at 740 Park Avenue in New York City. Having no children of her own, she left most of her possessions to her late sister’s children and a fortune to charities. Carolands may stand as Harriett’s most enduring legacy. Harriett Pullman marries Francis J. Carolan. 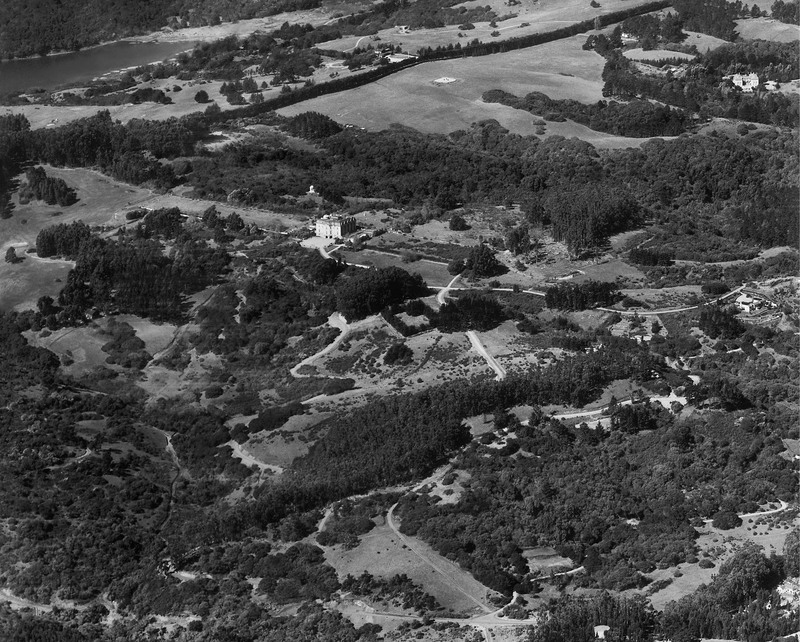 Harriett builds her first house, known as “Crossways,” on thirty acres in Burlingame, CA. George Pullman dies in Chicago. Harriett inherits $1,000,000 held in trust until she turns 35. Harriett buys 554 acres of land in the western part of Hillsborough, CA. Harriett purchases from a dealer in Paris three antique salons for the sum of $50,000 (roughly $1.2 million today). Two salons are from the Bordeaux residence of Philippe Le Brun and date from 1784, the other salon of unknown provenance is older, from the period of Louis XIII. These two rooms were designed in 1784 by the noted architect Victor Louis as central elements in a beautiful mansion that is still standing in Bordeaux, France. In 1912, after that building had been turned into a school, the rooms were removed and offered for sale for $50,000, or over one million in today’s dollars. The exquisite carving of the boiseries and that of the original marble mantles was noted by curators in France who studied and published them. Mrs. Carolan was advised in this major purchase by the famous antique dealer Boni de Castellane. She made the decision to buy the rooms before the house was designed, so in effect the house was planned by Sanson to accommodate these important rooms and respect their proportions and arrangement from the 18th century. The circular Large Salon was considered the Drawing Room of the house. The more elaborately carved Small Salon was an ideal space for a private conversation. The intricate original ceiling roundel of the Large Salon has at its center the face of Apollo the Sun God, an important decorative element in classic French design. When Harriett removed her furnishings from Carolands in the late 1920s, she had the panels, mirrored doors and mantles carefully taken out of the Château and stored locally. After Harriett’s death in 1956, Countess Dandini purchased them from Harriett’s estate and had them reassembled piece by piece within the exposed brick walls. This 30-year absence of the panelling added to the rumors that the house had not been completed. Harriett hires the renowned landscape architect Achille Duchêne. Famously dubbed a “Napoleon of the Garden” Achille Duchêne brought the art of the traditional French garden to an international clientele. The restoration of the historic gardens of Vaux-le-Vicomte and Champs, were among his finest early works. These were completed alongside his father Henri, who was also a noted landscape architect. Achille Duchêne’s most famous original creations are the Water Parterres at Blenheim Palace completed in 1931 and his 1914 original designs for Carolands. If completed, Carolands would have been the largest garden of his career.  After meeting in Paris, Harriett approves renowned Beaux-Arts architect Ernest Sanson’s preliminary plans for her Château. At the age of 18, Ernest Sanson was accepted into the prestigious L’École des Beaux-Arts in Paris. One early commission was the restoration of the Château Chaumont for the Prince de Broglie. Sanson eventually became the French aristocracy’s most sought after architect. His Palais Rose (Hôtel de Castellane) was the most spectacular Parisian mansion built during the “Belle Époque”. 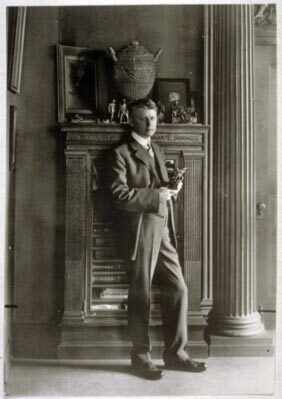 His first American commission was an elaborate residence built in Washington DC in 1910 for Perry Belmont. A year later, Sanson was awarded France’s highest award, becoming a Chevalier of the Legion of Honor. Carolands was Sanson’s second and final American project, commissioned in 1913 for Harriett Pullman Carolan. 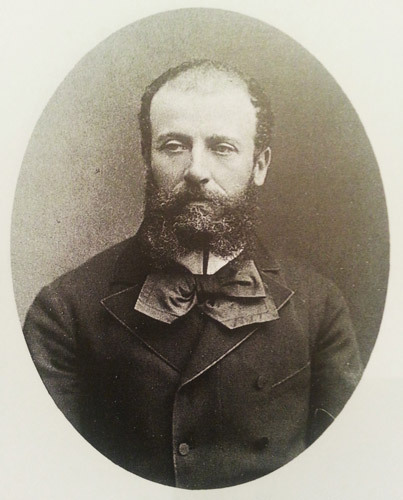 Sanson died in Paris at the age of 82. Willis Polk is made the on-site Construction Manager and awards contracts for the construction. Photo: Environmental Design Archives College of Environmental Design,UC Berkeley. Willis Polk’s early career included work with McKim, Mead & White, as well as Bernard Maybeck. Polk also worked with Daniel Burnham in Chicago, and then moved to San Francisco to establish and direct Burnham’s San Francisco office. Before long, Polk started his own firm and spent many years designing highly regarded California commercial and residential architecture. 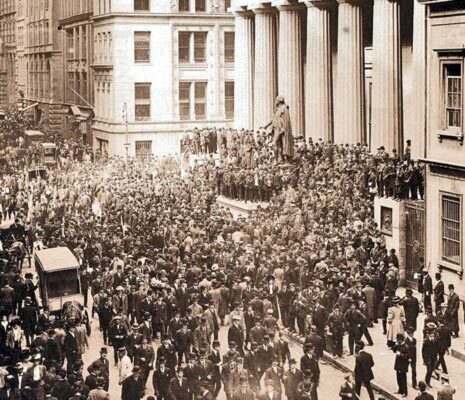 In 1901, Polk went on a tour of Europe and Chicago. In Chicago, he met prominent architect Daniel Burnham. From 1903 to 1913, Polk was the West Coast representative of D.H. Burnham & Company. Polk designed several of his most notable structures while associated with the firm, including the Merchants Exchange Building, the tallest building in San Francisco upon its completion in 1903. 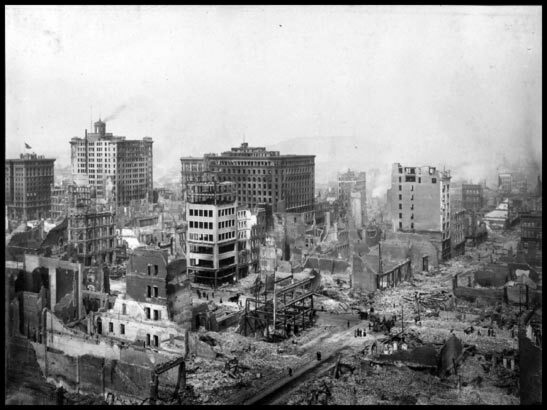 The 1906 San Francisco earthquake opened up numerous opportunities for Polk to design Burnham structures. He was a member of Mayor Eugene Schmitz’s Committee of Fifty leaders who undertook ambitious plans to rebuild a world-class city. 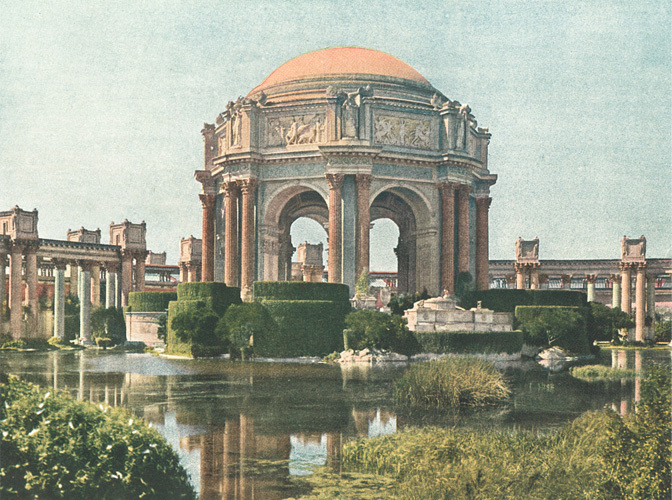 Polk was tasked with convincing city officials to adopt Burnham’s 1909 Plan of San Francisco. By 1910, Willis Polk was recognized as one of the most influential architects and urban planners in the city. Polk was again credited for designing the tallest building in San Francisco when his Hobart Building was completed in 1914. 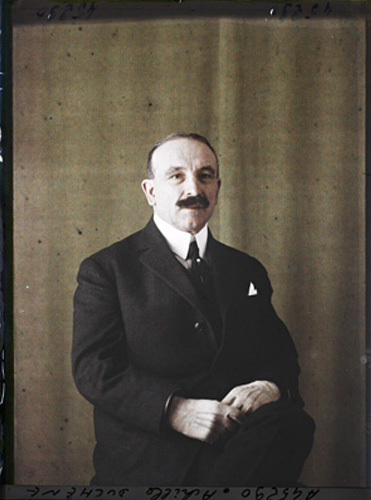 In 1915, Polk was appointed the chair of the architectural planning committee for the Panama–Pacific International Exposition. 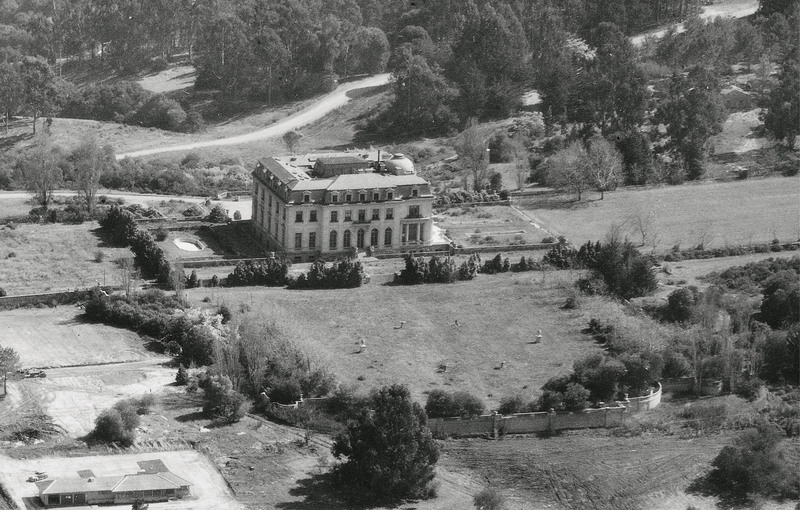 When the exposition concluded, Polk led the effort to preserve Bernard Maybeck’s Palace of Fine Arts. One of Polk’s most influential commissions came in 1916, when he was tasked to design the Hallidie Building. Its glass curtain facade was a precursor to modern skyscraper development. It has been argued to the be the most important building in San Francisco. Polk was a versatile architect, with particular skill in combining classical styles with environmental harmony. 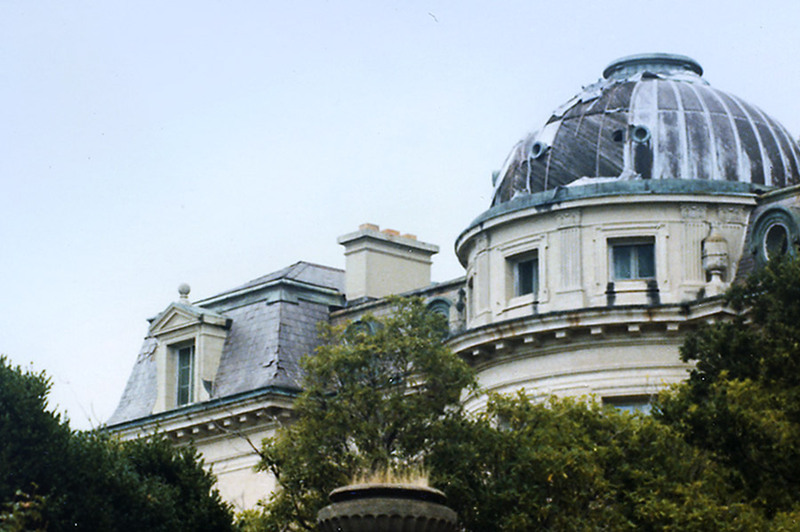 He was regarded for his elegant residential work, mainly in mansions and estates, in the Georgian Revival style for wealthy and prominent San Francisco residents. is held in San Francisco. The Panama–Pacific International Exposition (PPIE) was a world’s fair held in San Francisco, CA between February 20 and December 4 in 1915. Its ostensible purpose was to celebrate the completion of the Panama Canal, but it was widely seen in the city as an opportunity to showcase its recovery from the 1906 earthquake. The fair was constructed on a 635 acre site, along the northern shore now known as the Marina District. Carolands Foundation is a Core Partner of the Centennial Celebration of the Panama-Pacific International Exposition (PPIE100). Harriett, Francis, and staff move into Carolands. Harriett marries Arthur F. Schermerhorn, a longtime friend, in New York City. Harriett has most of her possessions removed from Carolands. The three antique salons are removed and stored in San Francisco. Subdivision of Carolands’ 554 acres begins. Over the next 15 years, approximately 64 acres sold. Barbara Woolworth Hutton considers purchase of Carolands. Burlingame Country Club considers Carolands for clubhouse and 18 hole golf course. Harriett sells Carolands, now at 490 acres, to Tomlinson Moseley. Carolands is offered to the State Department for use as Headquarters for the World Peace Conference. Carolands is considered for United Nations World Headquarters. Carolands, continuing to deteriorate, becomes an attractive nuisance with constant break-ins and vandalism. A 20-minute chase last night through the 96 rooms and miles of corridors and hallways of the vacant Carolands mansion was necessary to round up three carloads of county teenaged youths who had been reported creating a disturbance by neighbors living a quarter of a mile away. 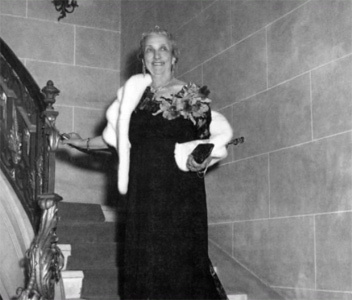 Arriving at the scene, Officer Ernest Lena of Hillsborough reported the youths, all San Mateo high schools students, attempted to barricade themselves in the million dollar mansion to escape arrest. 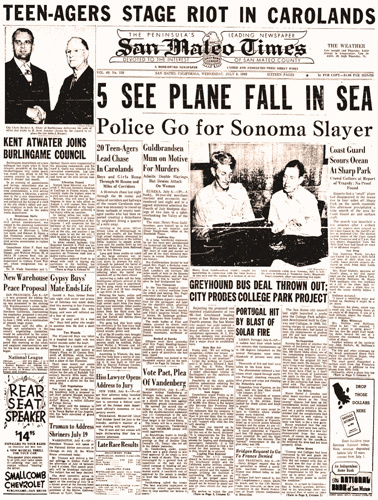 Lena said the youths lived up and down the Peninsula from Redwood City to San Bruno. Lena said three youths on watch at the large entrance way, attempted to slam two large wrought iron doors to prevent his entry. Although he jammed the barrel of a shotgun between the two story-high doors, he was prevented from entering when the barrel was smashed off as the doors closed. Answering a radio call for help, Burlingame officers arrived at the scene to assist Lena in apprehending the gang, which was composed of four girls and 16 boys ranging in age from 14 to 19. Entering the home, police said they discovered the youths had been swinging from a three-story high center court from fire hoses strung over balconies. Other youths had sailed several dozen paper plates from the third story balcony to the ground floor below and hurled old bottles down marble stairways. The gang had also been using the elevators in the four-story high home, although they have been declared unsafe, police said. All of the 20 youths were brought to Hillsborough police station where they were held until their parents could be notified, Police Chief Walter J. Wisnom said. All have been cited to appear in court next Saturday. 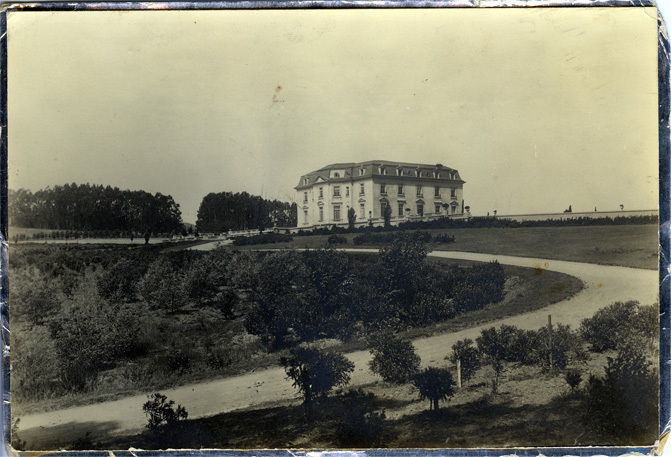 According to Wisnom, the mansion has long been a source of complaints caused by juveniles entering it. It was built in 1913 and 1914 by Harriet Pullman Carolan, heir to the Pullman car fortune. 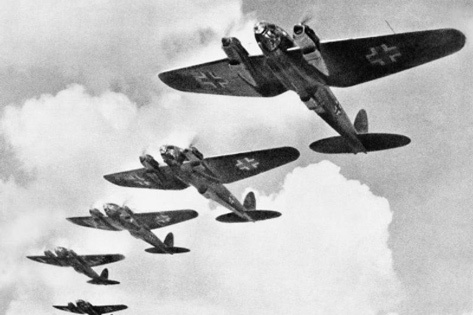 The demolition of the Carolands is announced and widely reported to have occurred. Countess Lillian Remillard Dandini saves the Château from demolition, buying the house now on just under six acres of land. She moves in and makes it her home. Harriett Pullman Schermerhorn dies in New York City at 87 years old. She is laid to rest near her parents in Chicago. Harriett’s three antique salons are offered to the Fine Arts Museums of San Francisco. The Louis XIII “Le Pautre” Salon is accepted and installed in the California Palace of the Legion of Honor where it can be viewed today. The French period room in America originated in the mansions of the Gilded Age. French paneling and furniture became an essential element of the grand house in New York, Newport, or San Francisco in the last decade of the nineteenth century and up to 1920, reflecting the taste and power of the owners. Although we are more familiar with these French paneled rooms in the American museum today, their origins are often due to the barons of the Gilded Age. Several of the period rooms in The Wrightsman Rooms at the Metropolitan Museum of Art, New York, the J. PAUL Getty Museum in Los Angeles, and in San Francisco at the Legion of Honor originated in the private mansions of the very rich Americans in the early years of the twentieth century. 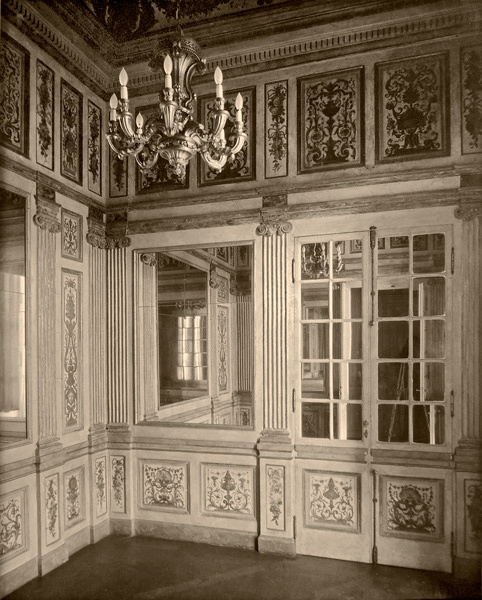 Authentic French paneling, or boiseries, were first introduced into the Vanderbilt mansion, the Breakers, at Newport in the 1890s, while others were also included as part of the furnishing of the elaborate new mansions being built on Fifth Avenue in New York in the succeeding decades. The salon from the Hotel D’Orsay, Faubourg Saint-Germain, Paris, was bought in 1904 by Senator William Andrews Clark for the enormous and rather overwhelming mansion that he built on Fifth Avenue.1 Completed in 1908, this massive structure only survived for less than a generation, giving way to a rapidly changing world in the 1920s and 1930s. By 1940 many of these great houses had all but disappeared from the New York cityscape. 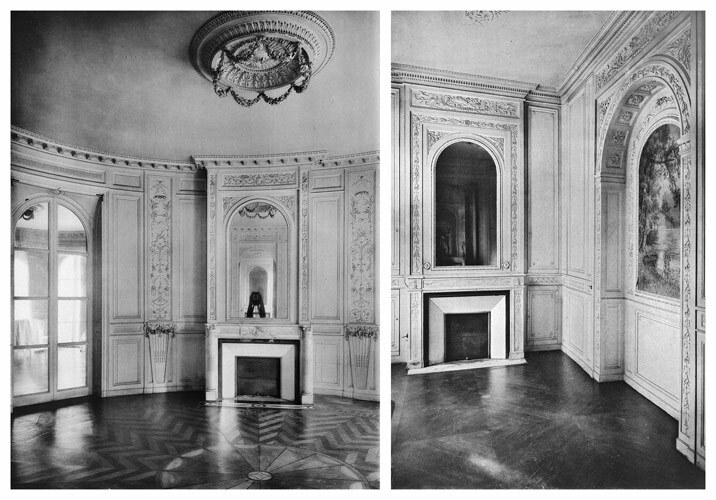 Senator Clark’s Salon Dore was given to the Corcoran Museum in Washington DC in 1928, where it survives today, much altered in form, but still reflecting the grand aspects of this fine French interior dating from 1770.2 In the third quarter of the nineteenth century French taste in architecture and decoration was already well known in the guise of the Second Empire style. Mansions with tall mansard roofs and lavishly gilded interiors of more contemporary French style were found all over the United States, but only later in the century did Americans discover the charms of the eighteenth-century Louis styles which could be freely employed as markers for taste and refinement. Architects such as Richard Morris Hunt who were trained at the Ecole des Beaux Arts in Paris set to work creating adaptations of the Grand Trianon, and the Petit Trianon, as well as major eighteenth century chateaux of France for America’s Gilded Age. At the Fine Arts Museums of San Francisco period rooms were an important feature of display in the post war era. The old De Young included some nineteen rooms, or architectural features, by the 1980s, including a series of rooms from Dijon given by J. Pierpont Morgan to the Metropolitan Museum in New York. But as with the Gilded Age mansions, taste shifted rapidly and today there are no paneled or period rooms at the new De Young. At the Legion of Honor, however, three French period rooms remain on view, and are treasured aspects of the museum. They include the small room sold by Carlhian for the Carolands in 1912. Only briefly installed in the Carolands, this finely-painted room was given to the Legion of Honor in the 1950s. As it is now recognized that some of the panels painted with arabesques were created in the 1680s rather than the early seventeenth century, it is now installed as a Louis XIV room. It will be the subject of a renovation in the near future. This room is one of the finest examples of French paneling sent the United States in the early twentieth century as furnishing for one of America’s greatest Gilded Age mansions, Carolands, and today is shown in one of the great public museums in the United States. 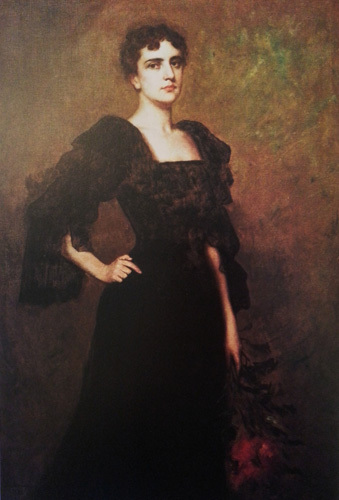 Countess Lillian Remillard Dandini is able to purchase the two “Bordeaux salons” from Harriett’s estate. They have been stored for almost 30 years in a San Francisco warehouse. She has them reinstalled in the spaces designed for them by Ernest Sanson decades earlier. Countess Dandini dies at Carolands, her funeral is held in the Library. The Town of Hillsborough declines to accept Lillian’s bequest of Carolands for use as an arts center. Carolands is designated California Historic Landmark No. 886 and added to the National Register of Historic Places (NRHP Reference #75000478). Carolands slides into a serious decline with multiple owners and threats of demolition. Carolands is used as a Decorators Show House. Over one million dollars is raised for charity. Mr. and Mrs. Charles B. Johnson purchase Carolands to preserve the Château and restore the Gardens. Local developer plans demolition of the Château in order to subdivide the property. Many residents and town officials see no alternative. 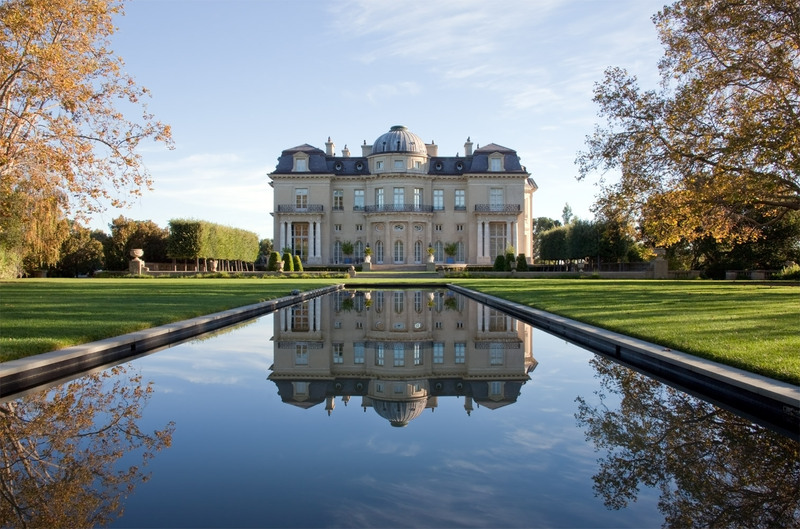 After an almost total reconstruction lasting four years, the Johnson’s move into the Château and use it as their personal residence and a venue for charitable events. 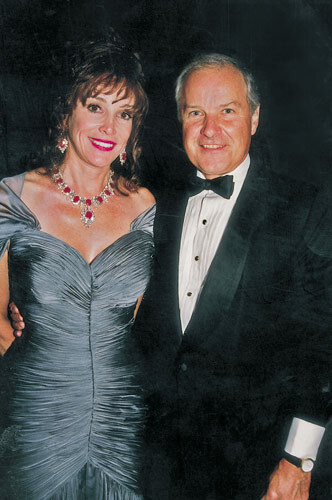 In 2012, the Johnsons donate the Château to Carolands Foundation to preserve it for charitable purposes.